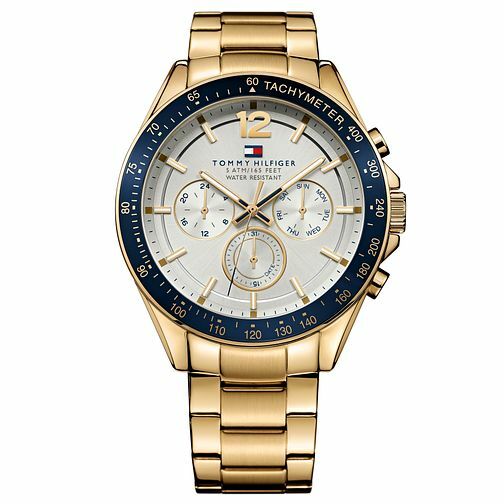 The Luke men's Tommy Hilfiger watch features a 47.55mm ionic gold plated steel case with navy bezel, smart silver and white dial and a ionic gold plated bracelet.. The Hilfiger flag logo is positioned towards the 12-o-clock mark, co-ordinating with the hands and bezel. Smart and sophisticated style at ease with Tommy.